Since the turn of the 20th century there have been Jews living on the western slope of Colorado. Jewish families are counted in the founding members of the Grand Junction community, including store owners and at least one doctor. 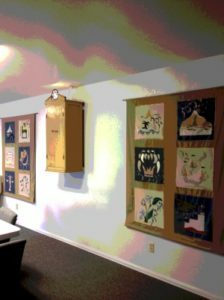 After many years of holding High Holidays and occasional life-cycle events at a VFW post or in hotel banquet rooms, in 1977, a group of young families formally incorporated the Jewish Community of Grand Junction under the catch-all name Jewish Community Center of Grand Junction. They created by-laws, a yearly budget, and a board of directors and the most pressing need of a Hebrew School for their young children. As the surrounding community boomed because of oil and gas development, our Jewish community grew as well. In 1987, we were able to buy our own building. Since then, we have made many renovations and changes to suit our needs. 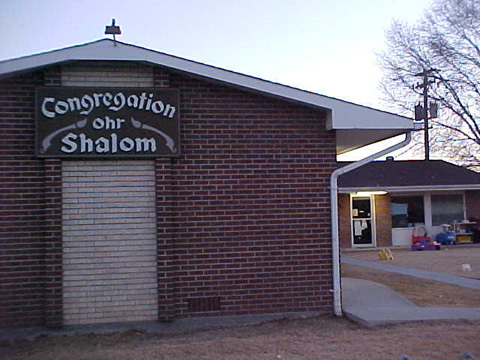 We affiliated with the Union of Reform Judaism and adopted the name of Congregation Ohr Shalom. We administer a portion of the municipal cemetery as a Jewish Cemetery, hold bi-weekly services with the help of our highly trained and dedicated lay leaders and student rabbis from the Union. Our buildings are conveniently located downtown by Grand Junction High School at 441 Kennedy Avenue.